To day is the official end of the Holiday season. For a short time, many have stopped to consider love, joy, family and peace. For a short time, many have actually felt love, joy, peace and family support. If this holiday period can embrace these feelings, why is it impossible to extend it beyond January 2nd? 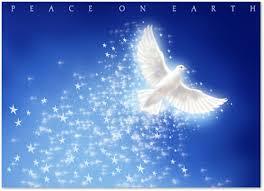 Peace on Earth is not an imagined place, it is a possible place. Just as the spiritual agreement of millions enables peace to descend for millions during the Holidays, the agreement of millions and billions more can create true Peace on Earth. My sincerest wish for the year 2015 is Peace on Earth. What is yours? What will you do about it? 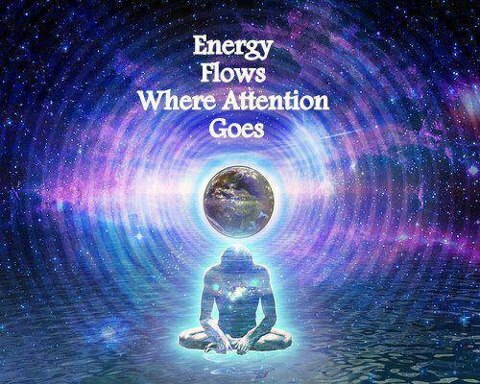 Energy goes where attention flows. As this year comes to an end, I had so many ideas to share but this one kept bubbling to the surface. The attention of the world is consistently focused on unrest and war. Therefore the world’s energy in the form of capital, resources and life force are all flowing in the wrong direction away from peace. No superior being has written that our differences are to be settled in conflict. This is a choice that we are consciously making every day. I am advocating for a change in choice. Choose peace. A little bite at a time. This small shift in attention towards peace CAN shift our conscious evolution. Will you join me? Will you share this post? The positive evolution of the world depends on it. Our organized news programs report regularly on the bad news: Ebola, refugees, wars, strife, unrest and hatred. There is indeed much to despair. Refugees, asylum seekers and internally displaced people worldwide number 50 million and rising. That leaves 88.3% of the world population NOT at war currently. I recently spent a week in Seattle and enjoyed a city tour led by Micheal, a retired high school history teacher, who pointed out how focused we are on what we perceive to be wrong in the world. We asked him why there were so many panhandlers in Seattle. He then asked, ‘ How many have you noticed?’ Our answer – 8. He then said that of the 652,405 people living in the area, we should question our keen observance of 8 individuals (who by the way had not done us any harm.) Micheal then went on to point out that as a teacher, he had regularly challenged his students to flip the numbers in the media to get a full picture of reality. Sort of like focusing on the 7.2 % unemployed without mentioning or celebrating the 92.8% who are gainfully employed. This thinking refocused my efforts in reaching out to you, the citizens of the globe we call home, to join this movement in focusing our attention on what we WANT to see in the world versus what we do not want to see in the world. The numbers are on our side. If half of the 88.3% of the world population who are NOT at war joined the 50 million of the people displaced by war (who I can assure you are praying for Peace) – a mighty tide of affirmative thought would begin to change the world. This item was posted before the recent escalating war tensions code named “Isis.” It deserves a repeat submission. We live in a world that constantly mentions ‘authenticity’ and yet, we have no congruence in the most important aspect of surviving intact on this planet. The original title was ‘A World of Contradiction’. Our hearts are heavy with the unveiling of current events around the globe. War, strife and discontent seem to reign supreme. Although we are more advanced in technology, science, mathematics, and calculated physical endurance we seem to be mired in old and new conflicts that drain our resources, energy and life essence. Why? We continually act on our belief that one religion trumps another. We continually act on our belief that differences in appearance are soul-altering. We continually move father away from expressing gratitude for what we have. We refuse to see the unbreakable connection between humans. We rationalize historical events as victors always provide the historical account. We collectively focus on war/injustice in our thoughts, word and actions. We collectively refuse to join in worshiping Peace among all peoples and nations. This blog is written as an invitation to address number 7. With the advent of technology and its ability to broadcast instantly around the globe – broken Peace is ever more evident. Surprise, there are more people living in Peace than not. However, you would never know that from the incessant broadcasts of war and strife. 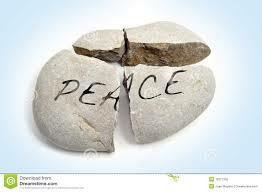 It is time for the peace seekers, peace lovers and those living in peace to unite and work FOR peace. It is a small step but powerful. The energy of words is stronger than bullets, missiles and tanks when collectively focused. Share this blog with all of your friends and lists. Join a movement FOR Peace. Peace be with you, and Peace be with the World. 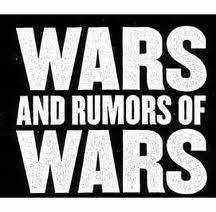 Most of us are familiar with the biblical admonishment of ‘wars and rumors of wars’. Since the world has become a village due to television, cable and satellite transmissions – the presence of every conflict is announced and repeated over and over and over. Our faces are turned away from any good in the world to witness carnage on what seems to be a wide scale. My heart aches for all of those in the throes of dissent, conflict and rumors of wars. It is at these times that I retreat inward. I turn off all news broadcasts and turn my thoughts toward resolution versus mindless witnessing. The only positive change in the world will occur through a change in the consciousness of mankind. When we become silent witnesses, judging the right and the wrong of any conflict – we unwittingly become a part of the festering situation. NOW is the time to surround the earth with a resounding consciousness shift. LOVE always triumphs over judgement, hatred and polarization. There ARE more people of good consciousness in the world than we believe – but we are silent. LOVE is energy. Active LOVE is an even greater energy. 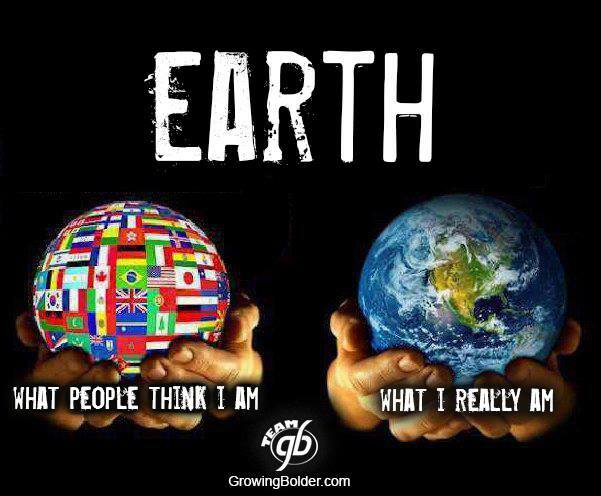 Join me in surrounding the earth consistently with a new consciousness and energy. Move away from being a witness and instead at noon, each day, wherever you are say these words with me – “Peace be with you and Peace be with the world.” It is an energy that makes a difference. Thank You to Growing Bolder for such a though provoking image. Have you ever questioned how you see the world? There is little doubt that our feelings of separation and imagined superiority fuel our daily world conflicts. When, in reality, we are all one connected by the same bodily needs – to breath, to eat, to move our bodies, to sleep – and the same spiritual needs – to feel loved, to love, to share, to work for purpose, to search for meaning. PEACE is the realization that we are all one and that when one suffers we all suffer on some level. If you are feeling happiness today, imagine that being magnified by millions in a worldwide shared happiness. We have wars because the collective consciousness is focused on war and strife. Our books, our televisions shows, our national conversations are all focused on war and rumors of wars. How fortunate we are that the noon hour moves slowly and circles the globe. What would happen if all of the legislative bodies in the world stopped at noon in their time zone to proclaim PEACE each day? 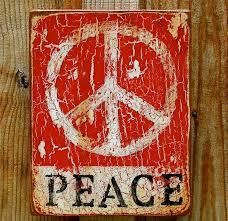 PEACE as an energy would begin to enter the collective consciousness. Wow! I get chills.